A Russian aristocrat, living under Bolshevik rule, is on trial for subversive writings and is sentenced to live out his life under house arrest. 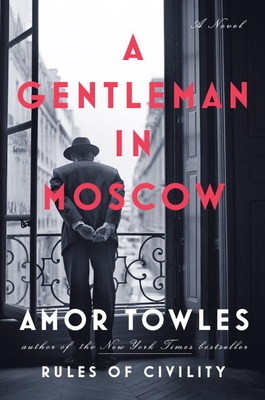 Moving from a luxurious apartment in Moscow's Hotel Metropol, Count Alexander Rostov is forced to live in a 100 sq foot attic room of the hotel, knowing that if he leaves the building he will be shot. Over the next 30 years, as Rostov moves within the confines of the hotel, he encounters a vibrant cast of characters, that will lead him to live a more expansive life than he could have imagined despite his reduced circumstances. Richly atmospheric, masterfully plotted and elegantly written, this is a story to be savored! It was my favorite book of 2016!